iProtoXi offers IoT customer projects, customizable platforms and applications. We design and manufacture innovative, modular, energy efficient and wearable electronics. Our solutions include full stack design services and cloud ready IoT platforms. We productize your idea into complete, ready-to-sell, product or solution. We digitalize your solution up to date. iProtoXi offers “one-stop-shopping” IoT customer projects for innovative solutions. Our full stack IoT services are especially suitable for modular and energy-efficient Internet-of-Things wearables. Furthermore our Aistin Blue and Aistin IoT Blue product platforms with ready-made software and technology can be fully customized to meet your requirements and therefore enabling significant savings in both time and expense. Our product platforms can be licensed for your product development. You can build your IoT service for your own application area using our Sensor products and Aistin product platforms without developing your own devices. Even more our service chain includes everything you may need: electronics and physical device design, embedded software, mobile applications and cloud services. As a result we support our customers from rapid prototyping and application development, through to manufacturing and mass production. Therefore we help your business to build the product from idea to implementation and there to mass production, or anything between. You have a great idea but don’t know how to make it into business? Together let’s look at your product idea, and where to start. It’s good to figure out the good and bad sides to every option in the beginning and it will save you both time and money; as a result we help your business to build the product from idea to implementation and from there to mass production, or anything in between. It can be difficult to convince other people about your business idea, therefore we’ll help you to the next step to prove your concept idea to investors and stakeholders. Finally, we can, with our consultants, also help you to get funding. Proof of concept (POC) is documented evidence that a potential product or service idea can be successful. POC is therefore a prototype that is designed to determine feasibility, but does not represent deliverables. It is demonstration of the core functionality. It also provides the opportunity for your organization to solicit internal feedback about a promising product or service, while reducing unnecessary risk and exposure and providing the opportunity for stakeholders to assess design choices early in the development cycle. A prototype is a working representation of how the end product will look, while also offering a working demonstration of the product functionality. A prototype is typically compromises a mix of production grade materials and off-the-shelf components to balance cost efficiency with design quality. Antenna simulations, drop tests etc. First of all you may need to put out a limited pilot on a new product to see if it creates the buzz from customers that you expected. Testing of production line with 0-serie test run. After these test runs some modifications can be made for final mass production line and materials to achieve lower production costs. Mass production is the manufacturing of large quantities of standardized products using assembly line or automation technology. So mass production refers to the production of a large number of similar products efficiently. Products are tested with production tester application, which loads programs into devices. Production tests ensures that only working products are sent to sales channel. The innovation voucher is intended for SMEs engaged in well-established business and who have a new product or service idea with international growth potential and for which the company needs external expertise. The innovation voucher aims to find new business opportunities for businesses to support business growth and encourage new businesses to innovate. See for more information Business Finland website. Showcase of our original products. Our expertise for your needs. We offer help in many fields. Our dedicated sales team caters to you. Our Aistin Cloud services allows users to easily connect, manage, monitor and control IoT devices and sensors remotely via internet with modern web technologies. Furthermore our cloud services can be tailored to meet your own specific requirements and needs. Aistin Blue and Aistin IoT Blue platforms with Bus24 are used as building blocks for IoT sensor systems in medical, fitness and industrial fields. Physically small and rounded Aistin Blue board provides a wide range of sensors in a tiny area. The Aistin Blue board is perfectly-suited for wearables and accessories. Aistin IoT Blue is especially suitable for construction and industrial NB-IoT and LoRaWAN solutions. Above all Aistin Blue and Aistin IoT Blue provides an energy-efficient solution for long-term applications without need for recharging or replacing batteries. We are trailblazers for new IoT technology. For that reason the focus is on adapting and following new and innovative standards such as Bluetooth 5 Low Energy, LoRaWAN, 4G NB-IoT, 5G Network and GNSS positioning systems. Our Aistin Sensor products are built with Aistin IoT Blue. Sensors are available with IP65 or IP67 class mechanics. Aistin battery powered multi-sensors has BT-LE beacon and options for long range 4G NB-IoT and LoRaWAN radios. Easy to use Aistin Sensor Scanner Android mobile application is provided for local data viewing and easy setup. Also support for WolkAbout and Cumulocity cloud service and adaptation to customers own cloud can be provided. Therefore Aistin Sensors are perfect product for Environment monitoring and 4G NB-IoT Network monitoring use cases. We support our customers rapid prototyping and application development for wearables, health and sports, industry maintenance, home automation and monitoring, network monitoring, education and many other application areas. IoT hardware and software designs are made with modularity in order to easily add more functionality later if needed. Certainly modular software simplifies complex system programming and reduces both development time and costs. Finally modular design also improves reliability of the end products. Flexibility and extendability with ready-made, modular solutions of hardware and software saves time and money. Aistin Blue and Aistin IoT Blue platforms provides a fast track solution for customers to test and evaluate the idea in real life before moving to mass production. Our full-stack IoT services covers all the phases from idea into ready-to-sell product or solution. 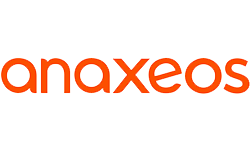 Anaxeos is a lightweight vest with sensors that track things such as heart rate and temperature, connected to a mobile app that then reveals the data and interprets them so that the dog’s carer can take action. 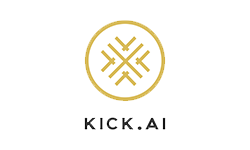 Kick.AI is a Finnish startup company working on data-driven sports solutions to martial arts. The owners come from within the sport and are as passionate martial artists, as they are about technology and innovations. 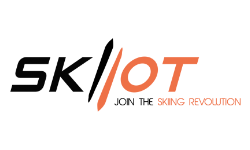 SKIIOT is a skiing analyzer that brings ski sport to the 21st century. It is a seven sensor IoT device that measures everything you need to know about your skiing performance and surrounding conditions.